Marquette, Michigan based Flat Broke Blues Band has been playing clubs, festivals and concerts around the Upper Great Lakes region for two decades. The band currently features original members guitarist/vocalist Walt Lindala and bassist/vocalist Mark Johnson. Flat Broke’s stellar lineup also includes guitarist/vocalist Mike Letts, drummer Jim Cohen and lead vocalist/harmonica player Lorrie Hayes. Flat Broke Blues Band takes the influences of blues, rock, soul and R&B and creates a sound that respects the tradition of the blues but also pushes it’s contemporary bounds. The band’s stage show is filled with an entertaining and danceable mix of blues and R&B classics along with a variety of original songs that showcase the talents of all of the band members. 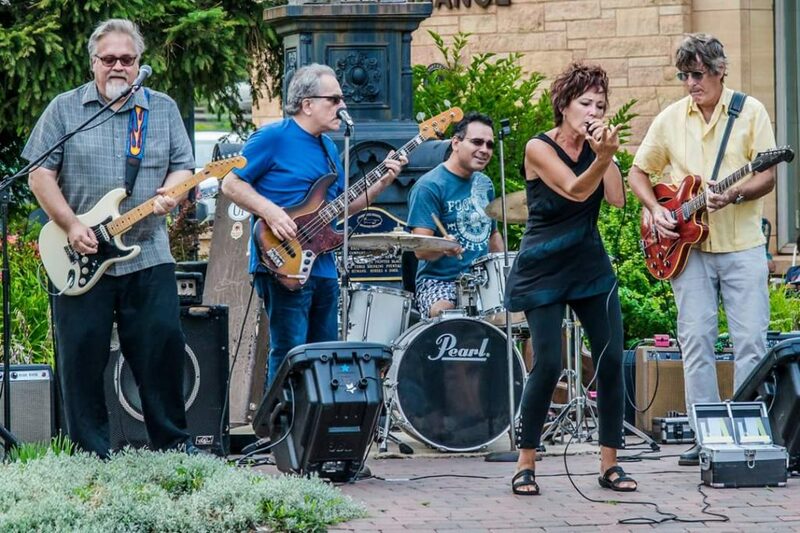 Over the years, Flat Broke Blues Band has shared the stage with several blues stars including Koko Taylor, Johnny Winter, Tab Benoit, Shemekia Copeland, Sean Costello and Lonnie Brooks to name a few. Look for the Flat Broke Blues Band in your area soon!